Cloud hosting is when you are able to combine several servers or machines to work together and act as one big scalable hosting server. On top of that you can set up multiple virtual environments and containers inside this cloud and each one will work independently. This provides improved scalability (it is much easier to increase resources, processing power, disk space, and more). 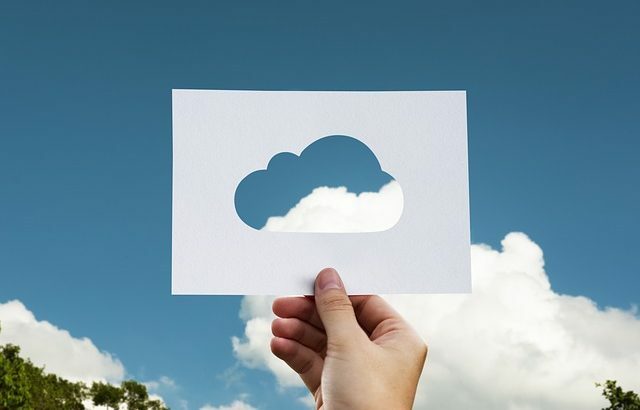 So in effect, a cloud hosting solution can be seen as a very big server with tremendous resource capacity, high network speed and intelligent software that allows an administrator to create independent smaller hosting environments that share resources effectively without affecting each other. With traditional dedicated or shared hosting providers (these ultimately depend on a single server) it is harder to scale and has less disaster recovery options. If multiple hard drives fail, or a RAM chip goes bad, it affects the entire server. It is harder to scale and usually requires shutting the server which means your website or application will be turned off for a small period of time. When using non-cloud hosting you can end up paying a lot more money setting up multiple dedicated servers, each one using their own resources, disk space, electricity, etc. You will also most likely end up having under-utilized disk space, processing power and memory across all servers. Cloud hosting allows you to set up a base hosting infrastructure which can be as big or small as you want it and have as many independent servers working on it. The starting cost may be higher than starting with a single dedicated server, but it will be much more cost effective to scale and add new servers and applications. You will need to only add the resources you really need. For example, if you have 5 servers with 500 GB of disk space each, use multiple CPUs and have 32 GB RAM, you probably don’t use all of the disk space, have different CPU peak times in each server and under utilize the RAM. With that same budget you can probably set up a cloud solution with 5 separate hosting environments, a total of 1.5 TB disk space, 64 GB RAM and faster CPU’s and still have space to add more applications. It gets better, if you need the servers to talk to each other, the communication speed between servers in a cloud is much faster than two physical servers. If you care about the environment, you most likely end up having a lower carbon footprint going with cloud hosting. Having the flexibility of creating virtual machines allows you to separate environments. For example: you probably want to have a machine to host all of your web applications, but you also want to host a nice PBX (phone system) or a file sharing server, while mitigating risk and not mix everything in one single machine. Well, no problem! You can have several virtual machines, each one with its own applications and resources. It’s like having a house, with several rooms: you want your own room, your kids will have their own, and another one for your guests, so everyone ends having their own space without bothering each other. Oh, and you can add more rooms on the fly without having to call a contractor. It’s like we can’t stop talking about how much we love cloud hosting. While you can still use traditional local and offsite backup solutions and use RAID hard drives to mirror your data so your site doesn’t go down in the event of a hard drive failure, you can still have problems. If the server is attacked by a virus, have a major hardware failure affecting more than one drive, or you need to recover your entire hosting environment then you will spend a long time to get everything back online. Cloud hosting providers have mirrors of your entire hosting environments and in the event of a failure it will automatically point to the mirrored copy while you can work on the issues in the original server. You can also have server or environment images which you can bring online very quickly. So if you to restore your entire server to how it was the day before you can do that without having to resort to manually configuring everything again from a backup file. How is NearSource using Cloud Hosting? We moved all of our dedicated servers to a cloud hosting solution including both Windows and Linux environments. Our costs has maintained almost the same while we have a lot more space and resources to add websites and application for our clients. We have truly separated testing and production environments, implemented better access control to each environment and have more disaster recovery options for all of our clients. Our hosted websites and applications are running faster and database queries are quicker because there is no physical hop from one server to another. We leveraged the added resource availability to add more server and network monitoring tools and installed a dedicated VPN for our internal team to access more securely each of the different applications and websites we manage. Where can I get Cloud Hosting ? NearSource now has a nice “mansion” with a lot of available rooms waiting for you to move in! So give us a call to get started! Joking aside, we offer multiple hosting solutions using our cloud infrastructure. You can host a small website, a large transactional website, online store, or business web application with us. You can be sure we will be managing it, monitoring your sites and scaling our servers to fit your needs. Learn more about our hosting solutions. Hosting, IT Services cloud hosting, Hosting, web hosting. permalink.